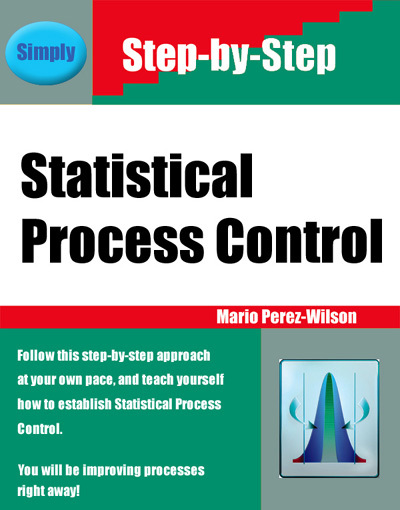 This is the classic course on Statistical Process Control (SPC), which covers the basic principles of control charts. The principles are described in layman’s terms for those who desire a thorough understanding of statistical process control without having to cope with elaborate mathematics. Control charts are based upon statistical principles; in particular the normal distribution, and they are used to determine when the process being monitored is “out-of-control.” When we claim the process is “out-of-control” we want to make such pronouncement with minimal “false alarms” as possible. To balance the false alarms from the true claims is where statistics (probabilities) come in handy. A process that is “out-of-control” is one that is not in a state of statistical control, or one in which the process variable being plotted does not have a stable distribution. So, control charts are used to determine if a process is stable while it produces product. Improvement to a process comes from identifying and eliminating "special cause" variation. The course also teaches how to interpret, analyze and implement control charts in production. This is, by far, the most efficient way to learn the application of statistical process control methods.